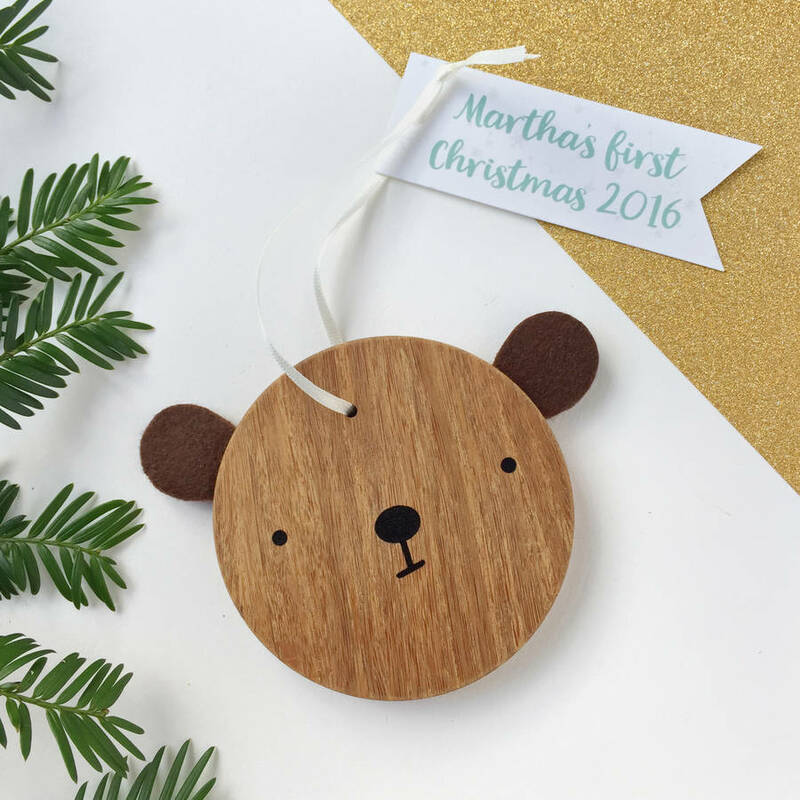 Our gorgeous personalised wooden bear decoration is such a charming and fun way to celebrate a baby's first Christmas. 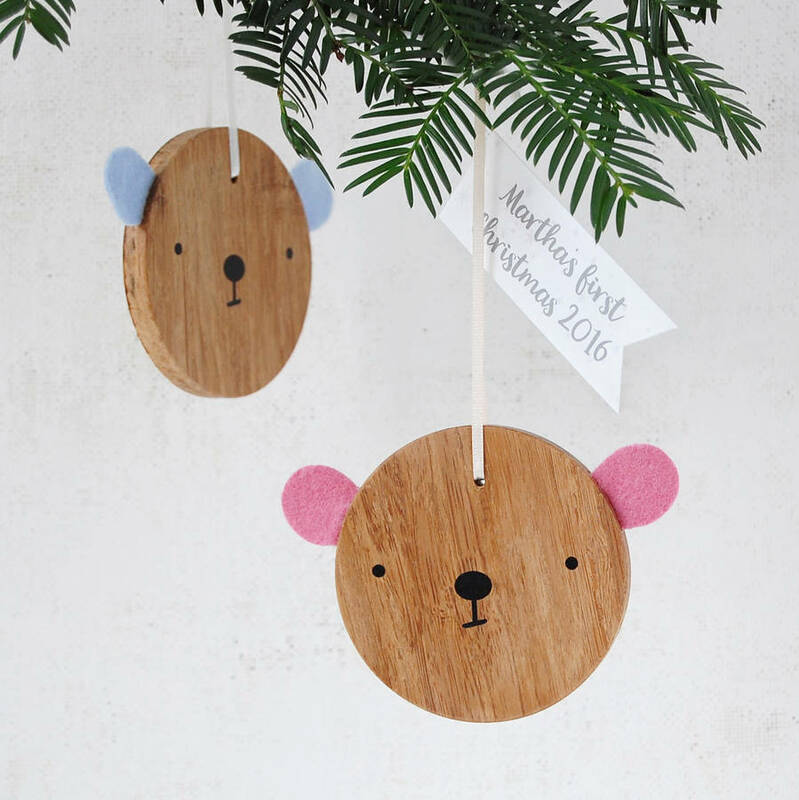 Bears make lovely first tree decorations! 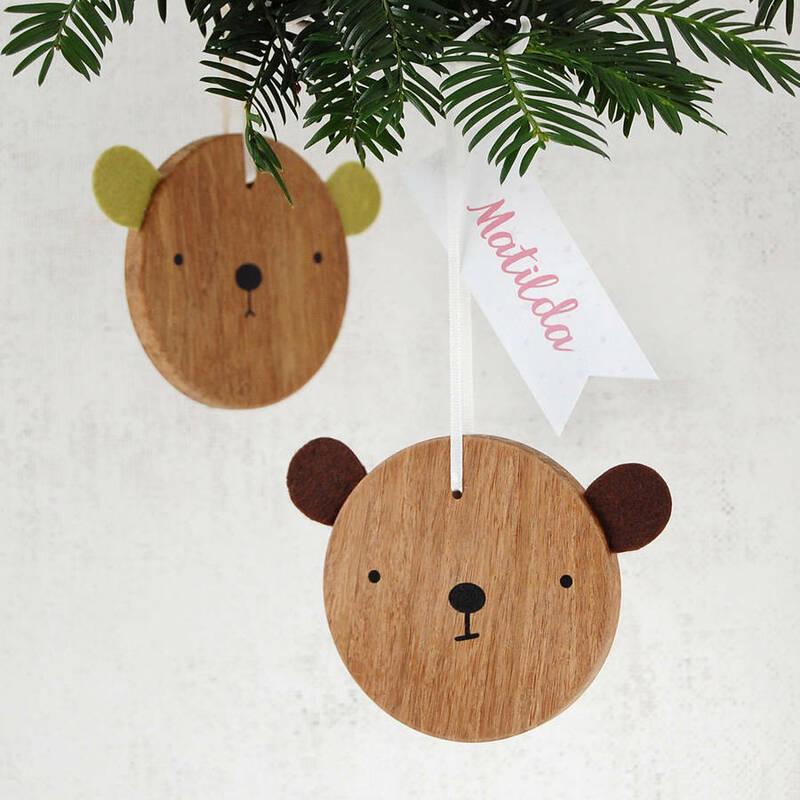 Each wooden bear hanging tree decoration is finished by hand and can be personalised with a tag. 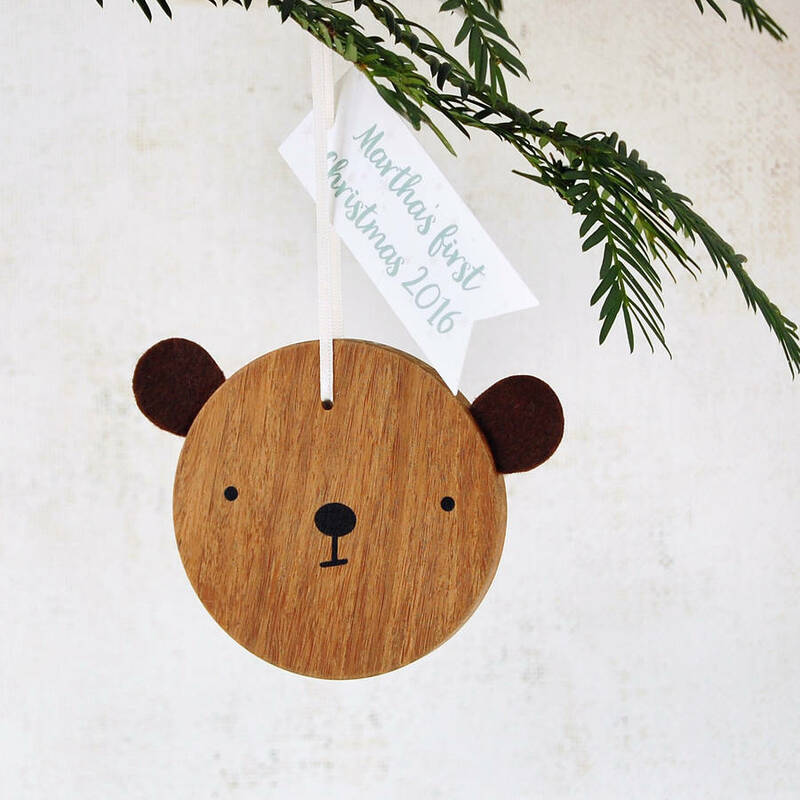 It makes such a lovely alternative bauble. 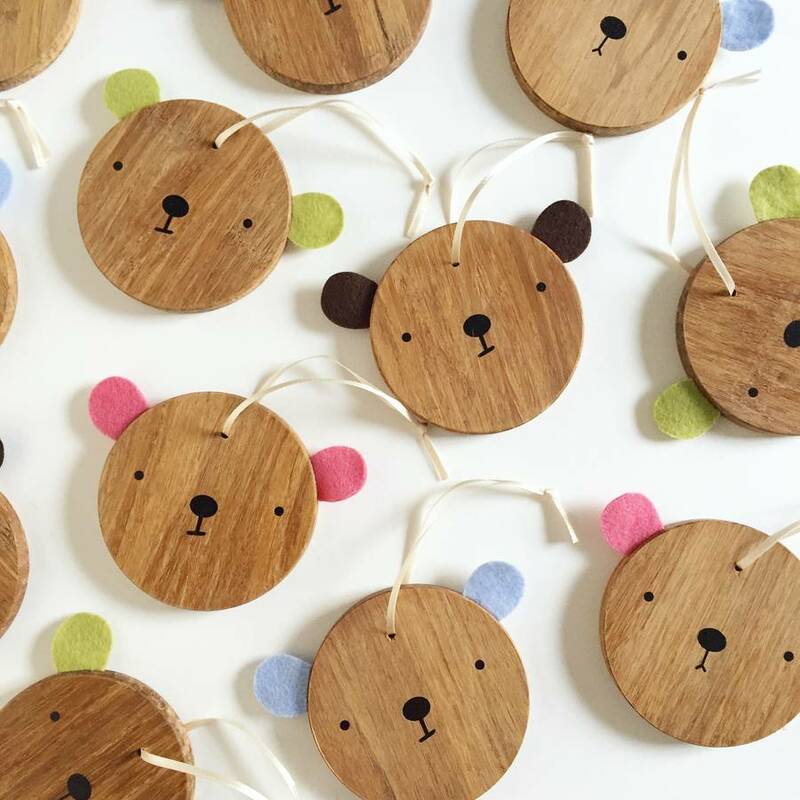 No two bears will ever look the same as the grain of the wood gives each bear it's own unique look and character. 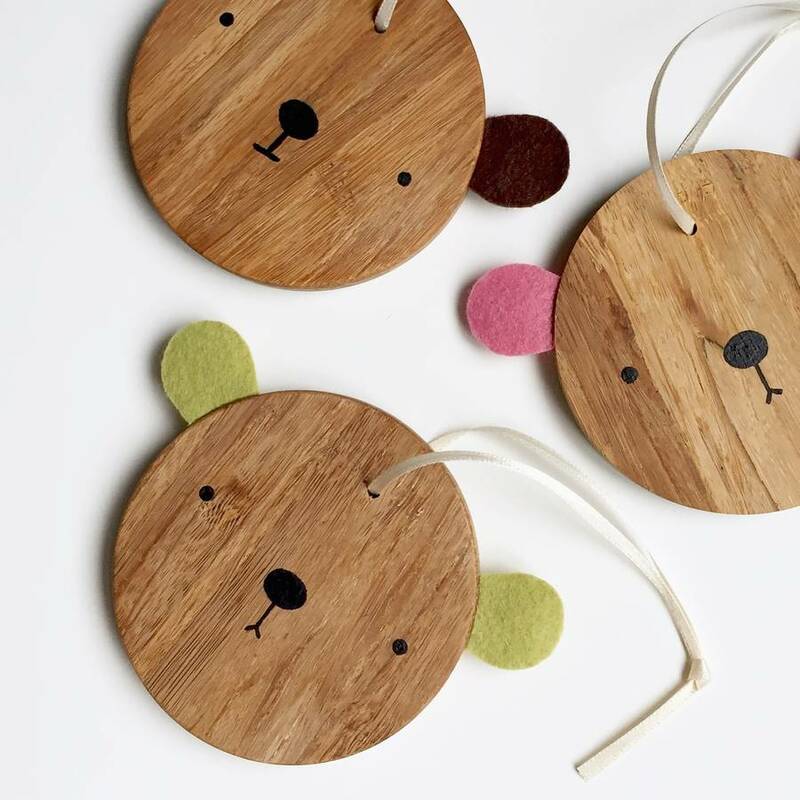 You can choose from four ear colours. 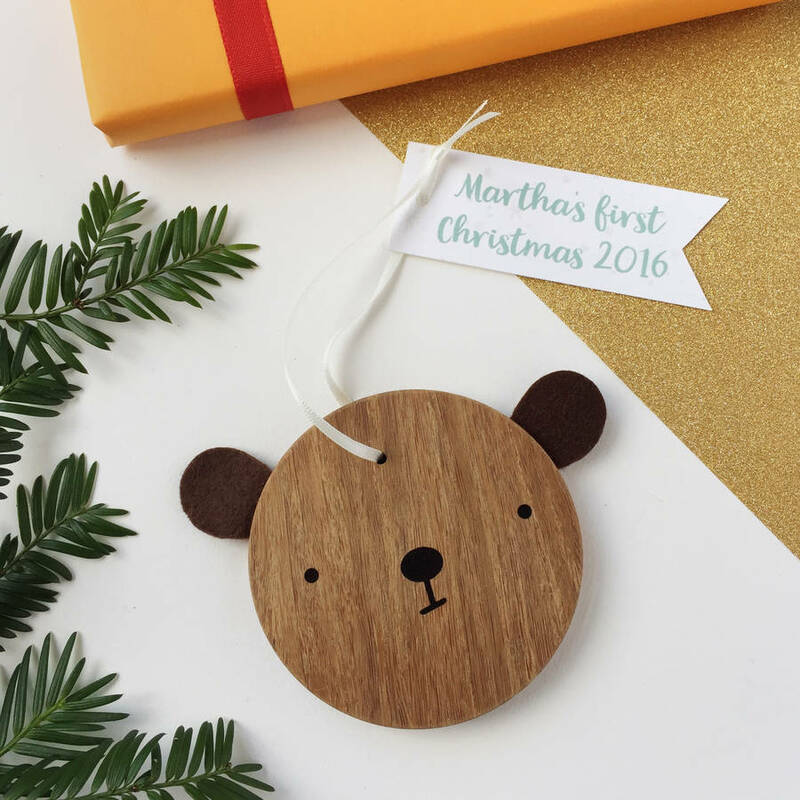 The baby's first Christmas version of our lovely bear Christmas bauble even comes with a little name card. 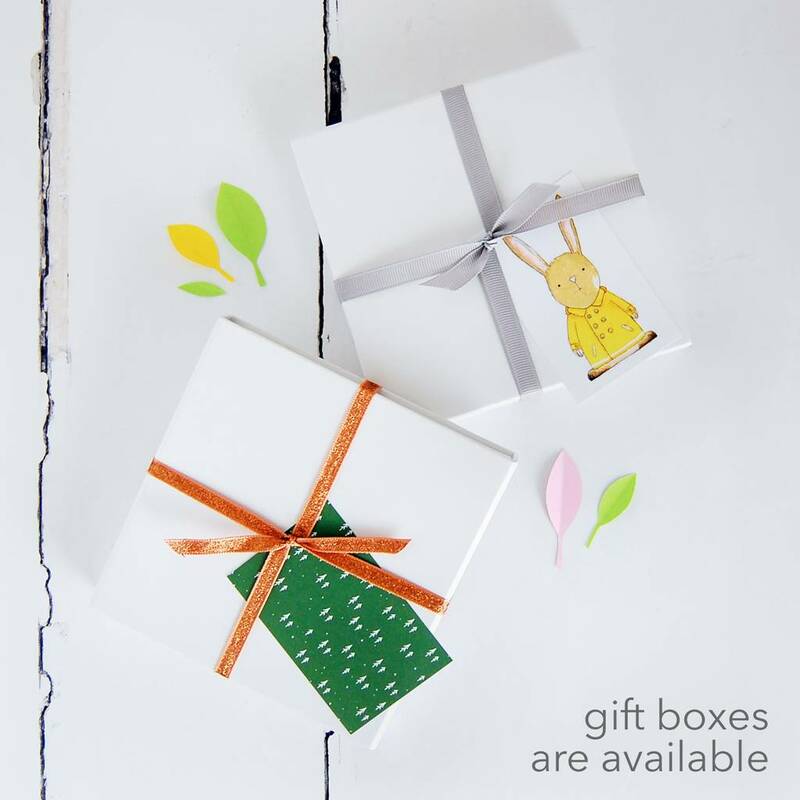 Beautiful and simple, they will be treasured for many years. 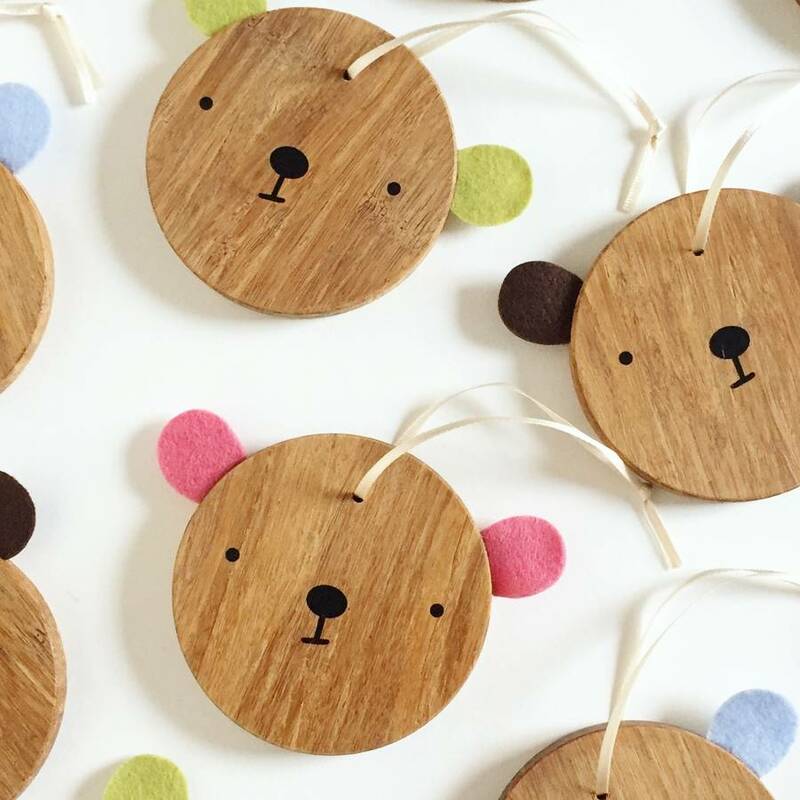 Bamboo wood. Ribbon. Felt. 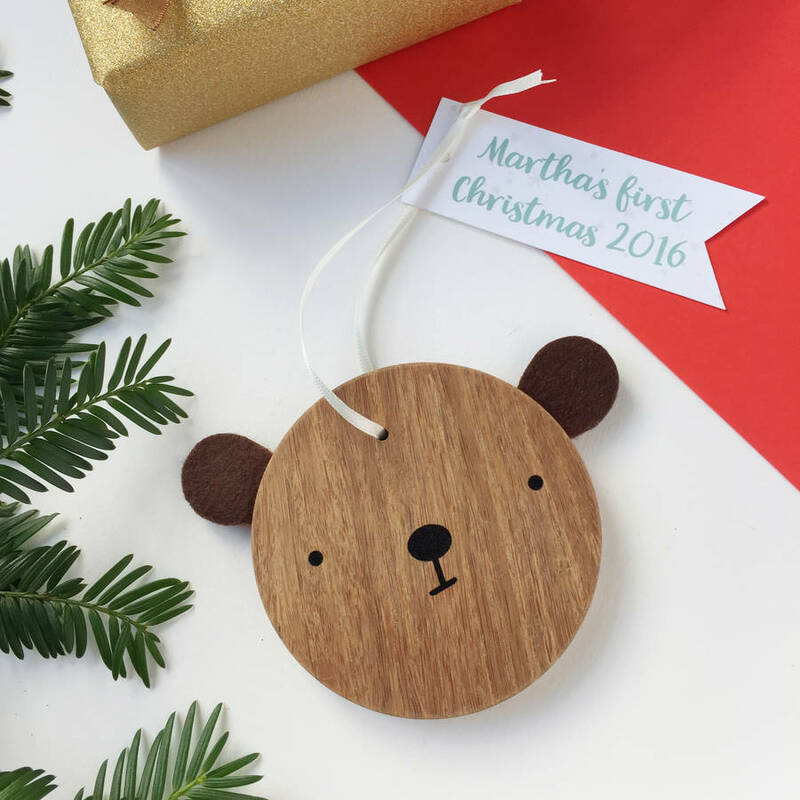 Paper tag. Packaged in a luxurious glassine bag. 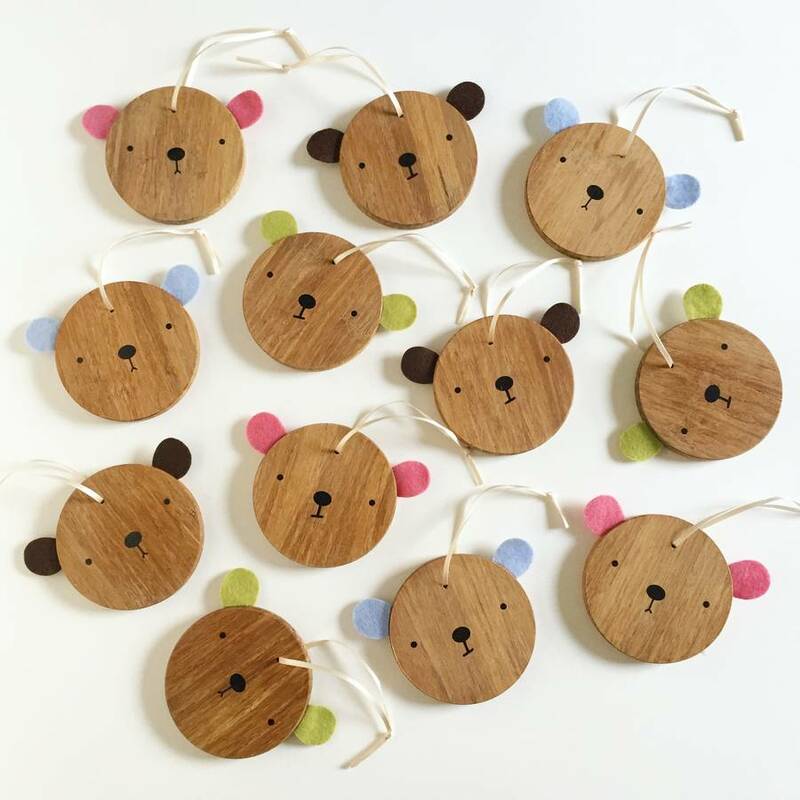 Each baby's first Christmas bear decoration 8.5cm x 8.5cm x 10mm deep. This product is dispatched to you by Clara and Macy.